Do you sell any digital goods online? Have you received any complaint from few users saying their Antivirus is blocking the file? Here at ShoutMeLoud, I sell few e-books (Free + Paid) & plugins. I use Mac OS, as it’s more secure than Windows. Needless to say, I’m little paranoid about security. I ensure my system remains safe by using inbuilt Mac Firewall & stay away from downloading files from unreliable sources. This was something unlikely to happen & I started digging more into this issue. The very first step was to check if the file is infected or not. (Do read the second section to learn about virus false positive detection). My requirement was simple, as I needed one tool that could check the database of all popular antiviruses & detect any viruses, worms, trojans or malware in my uploaded file. 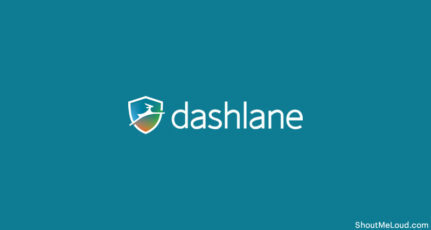 While I was researching for the tool, I landed on a pretty awesome tool & also some interesting findings that you will be learning in this article. What is PDF:UrlMal-inf [Trj] & how to fix? 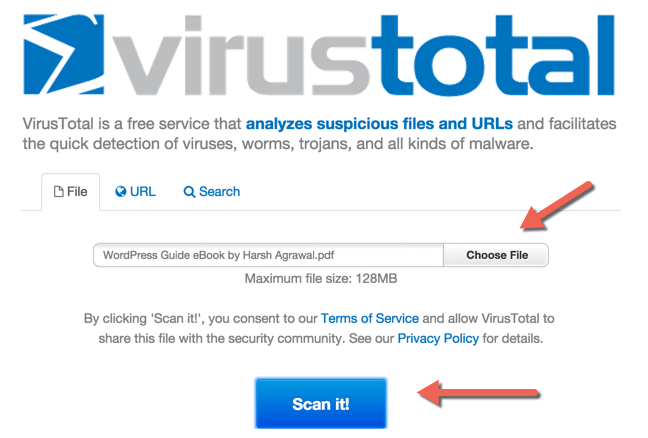 VirusTotal is a free online virus checker tool where you can upload any file & it would test it for the presence of viruses, worms, trojans, and all kinds of malware. Along with file upload, you can also check any online website/URL & find out if they contain any viruses. This is useful for bloggers as they often get warning that their site has been compromised, and with Virustotal you can quickly check your page to clarify your suspicion. The tool is pretty easy to use. You can head to their homepage; click on “choose file” to upload any file from your computer (Up to 128 MB) & click on Scan it. Even though Virustotal suggested this file to be harmless, but Avast anti-virus was showing “PDF:UrlMal-inf [Trj]” error. That means any user who has Avast anti-virus will get a warning just like Digitalud got one above. This is where things get interesting as I started researching more about PDF:UrlMal-inf [Trj] warning. After a bit of probing, I got the solution from Avast official support as many other users faced the similar warning. So the issue is with the Web shield module of Avast Antivirus & a response from Avast staff made the situation clear. At this moment, I couldn’t find a resource online which could let me check which URL is that, so here is what I did & hope it would help anyone in a similar condition like me. Now, all you need to do is wait for Avast support team to reply back & you can remove the URL that is blocked by them. In Kevin’s case, it was a popular site called Couchsurfing.com. 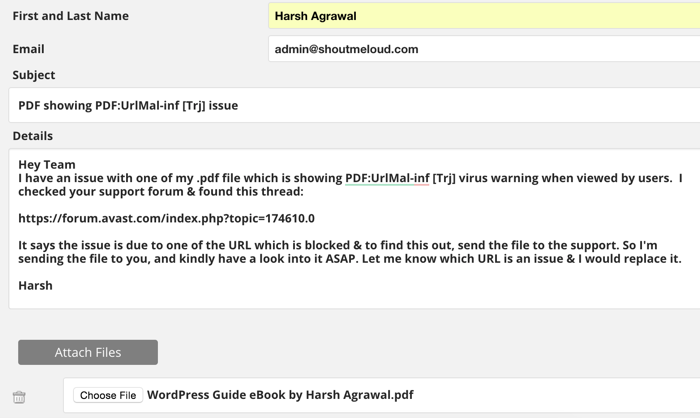 Here is another workaround which would work when you have few links in your pdf or doc file. You can remove all links & add them one by one. After adding every link, either use VirusTotal or scan it using Avast online scanner to find the link that is blocking. At this moment, the only suggestion is to remove the link from your file & notify the Website owner about this issue. In most of the cases, the website owner will reach out to Avast team to whitelist their website. Most of the time Avast blocks a website because your server I.P. might be listed in Anti-spam database. This is very common with shared hosting users who are sharing same I.P. with over hundreds of other sites. 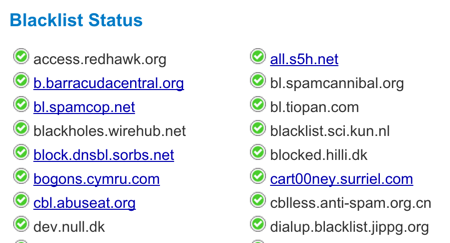 You can check using Blacklist checker tool to see if your server I.P. is banned in any of the spam databases. 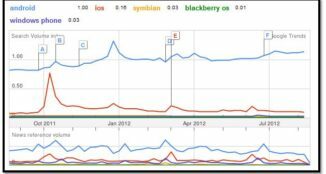 Read: Does shared hosting affect Website SEO? Here is how to check if your website I.P. is blacklisted. Copy the I.P. address that it pinged. For example here is what I got for ShoutMeLOud 64 bytes from 104.28.18.5: icmp_seq=1 ttl=58 time=5.25 ms, and 104.28.18.5 is the I.P address. 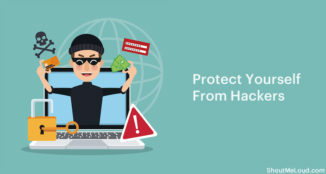 I hope this would give you a lot of new perspectives when you are selling any digital goods online, or your website is being marked as a suspicion by any antivirus or firewall software’s. Do let me know if you found any virus in your file uploaded on VirusScan or is your website blacklisted in the anti-spam database? 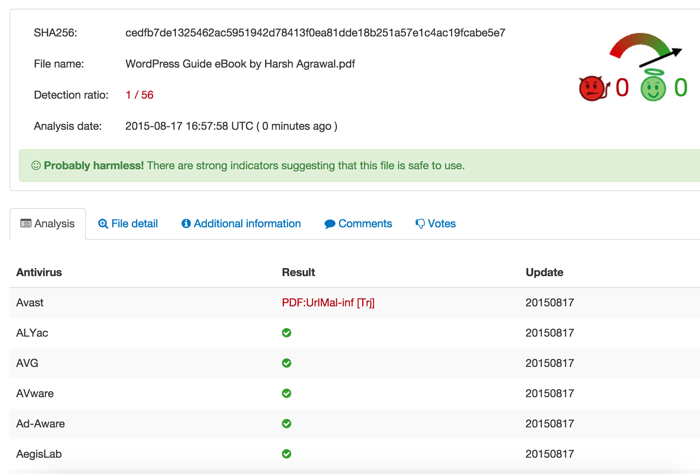 I have checked my blog url with this virustotal tool. Only sophos gives my site is malicious site. All other sites result shows that my site is clean site. What should I do? In addition to using vitustotal, is there any other alternative? I don’t know of any other services. Hopefully someone else knows about other tools & might help you. how to remove malware from my blog? Avast is a powerful against infection in fact. Windows working framework is infection inclined on the grounds that programmers cherish it. Windows is the most hacked working framework on the planet. As Harsh said, use Mac OS on the off chance that you can manage the cost of it, however for the individuals who can’t care for me, use Linux Mint or Ubuntu. Thanks harsh for this awesome tips. 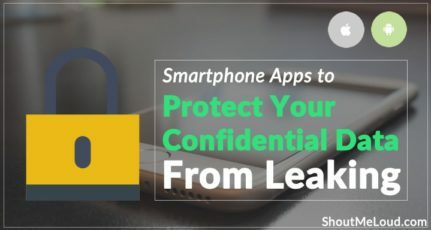 Actually I am looking for some programs to check viruses while uploading my files online and this article really helps me a lot. Great Job.